Mary Catherine Bateson will share her thoughts and research on the impact of improved health and longevity on marriage, childbearing, education, work, and retirement. Most recently, she has focused on a phase she terms “Adulthood II,” the period of relatively robust health that precedes the onset of frail old age. Dr. Bateson is a cultural anthropologist, linguist, Middle East specialist, and author who approaches her work from a multi-disciplinary perspective. Mary Catherine Bateson reads from Composing a Further Life. 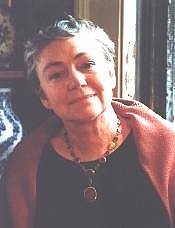 Mary Catherine Bateson is currently considered a "single author." If one or more works are by a distinct, homonymous authors, go ahead and split the author. Mary Catherine Bateson is composed of 5 names. You can examine and separate out names.